Elegant and grand, simple and stylish, white callas make quite a statement all their own. 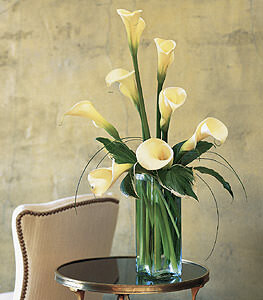 White callas with bear grass arrive in a square glass vase. Note: This item may not be available for same day delivery in all areas.